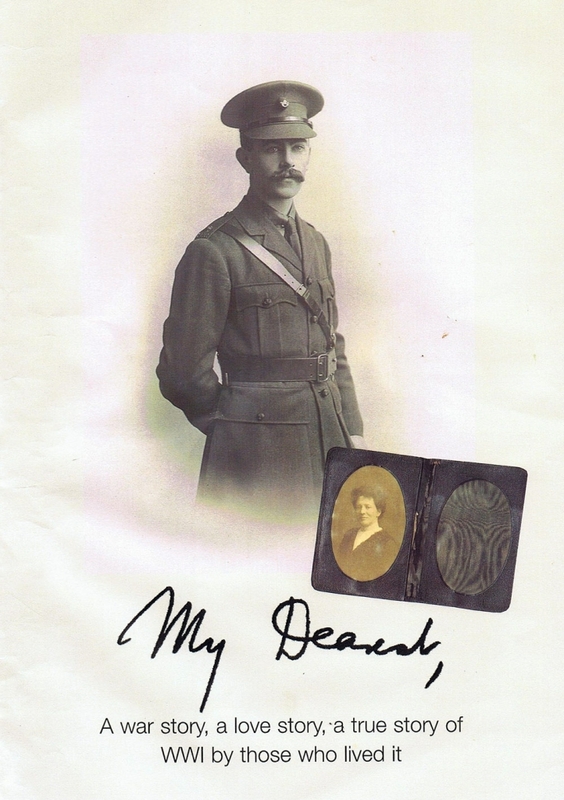 ‘My Dearest’ is an archive of over 400 personal ww1 letters between September 1915 and March 1919 plus photos and documents. These letters are easy to read, well written, informative and often humorous. 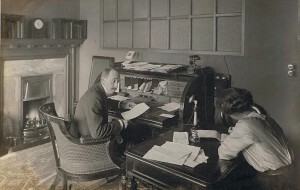 The two main correspondents are David, a 2nd Lieutenant in the Kings Royal Rifle Corps, and May, his fiancée and the most senior woman working in a large insurance firm in London. 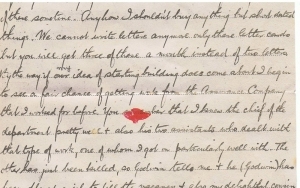 From a vivid description of Zeppelins over London, through officer training camp, a soldier in France and on the Western Front, as a Prisoner of War, and the endless wait to be demobilised, the letters from David provide an almost daily view of a soldier’s life. 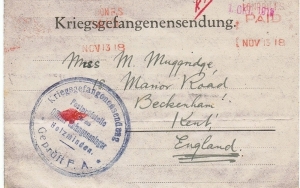 The daily life of women during WWI plays a significant part in the letters, covering office politics, voluntary work to support the war effort, domestic and leisure activities, as seen through the eyes of May, David’s mother and sister, friends and family, all hoping for the soldier’s return home. 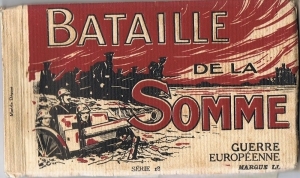 There are over 400 ww1 letters in the archive and we plan to show you transcriptions and all the original letters in full on this website by March 2019. Extracts from WW1 letter “Date Unknown, Year Doubtful” from David Henry Taylor in Hare Hall Camp, London to his sister Ginger (Ethel) Linn in USA. Extracts from WW1 letter dated 4th November 1915 from David Henry Taylor in Balham, London to his sister Ginger (Ethel) Linn in USA. 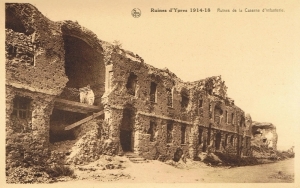 There will be 40 extracts from ww1 letters between Sept 1915 and March 1919 to give you a good overview of the archive and to whet your appetite. 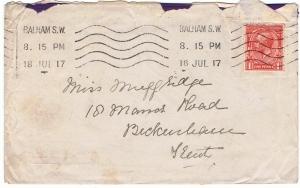 There will be dozens of photographs, post cards and various documents and items from the archive to give you a complete picture of the archive period.